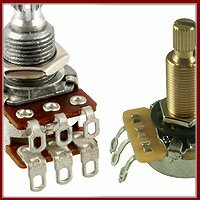 250K double pole, double throw (DPDT) push / pull audio taper potentiometer. Includes nut and w..
500K double pole, double throw (DPDT) push / pull audio taper potentiometer. Includes nut and w..